Agricultural Tourism at a Bandung Dairy Farm. Agricultural tourism is a commercial enterprise at a working farm, ranch or agricultural plant conducted for the enjoyment or education of visitors, and that generates supplemental income for the owner. One of Agricultural Tourism at Bandung is Agritektur. 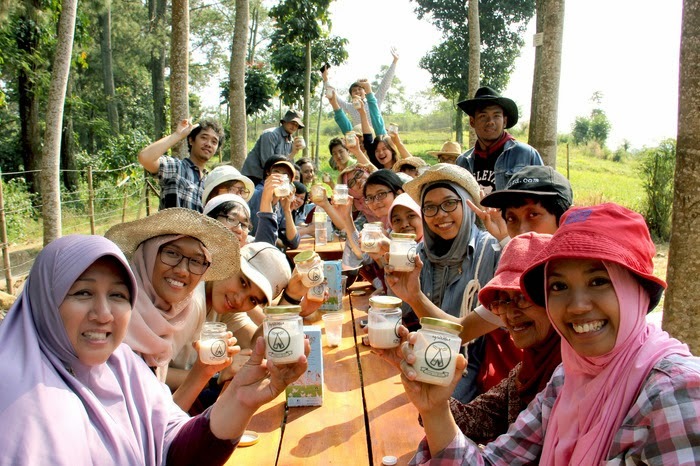 Agritektur is a creative community of young people in Bandung who share the same vision to bring back the glory days of Indonesia's local farming; when the supply of food and livestock was adequate, abundant even. With the tagline, "Think Globally, Eat Locally", which they have spread using the hashtag #TGEL through Agritektur's social media channels, the community has held a number of events to educate people to incorporate the message into their daily lives. The events include a regular Sunday morning local farmers' market (Parappa), where people can purchase high-quality local fruits and vegetables from nearby farms. 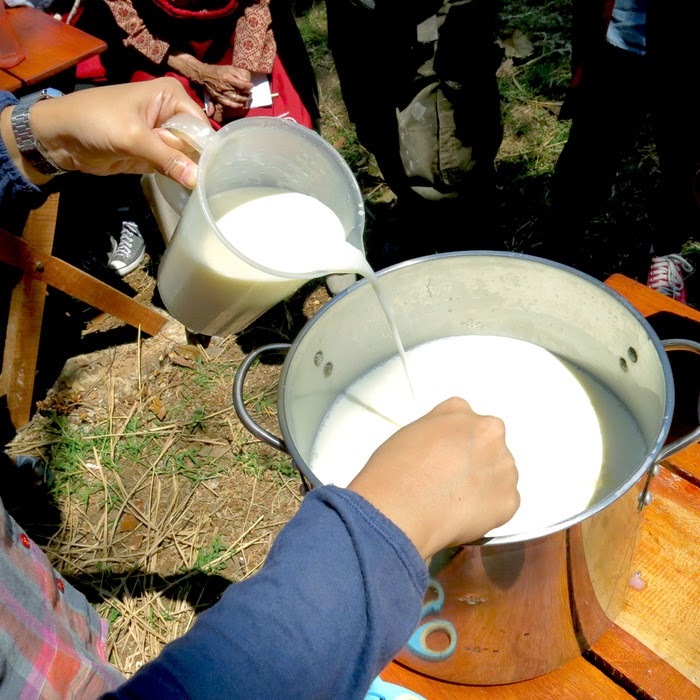 "With 'Camp On Farm: Dear Dairy', we want the participants to see the daily activities on the Dago Dairy farm," Rendy added. Upon reaching the farm, the visitors were warmly greeted by Dago Dairy's owner, Mark, who later took them on a tour of the farm. The tour began with Mark sharing a brief history of the farm while looking at Dago Dairy's cows, which Mark explained were hybrids of New Zealand and Indonesia's dairy cattle to produce a new generation of high-quality local cows. Mark said that after the calves were born, the cows were usually released into the nearby forest to reduce postpartum stress. This explained the presence of a number of free-roaming cattle on the farm. The tour continued with a workshop on how to make yoghurt, and then Mark took the participants to see the chicken farm. The chicken farm at Dago Dairy uses a conveyor system and it is placed above the open farm to ensure a highly fertile farm soil, fed by chicken manure. "The best part of the workshop was that the participants were able to take home their own do-it-yourself (DIY) butter and mayonnaise." DIY (do-it-yourself) butter and mayonnaise workshops followed after lunch. It turned out that making these was much easier than many people may think. The butter, for instance, was made by simply shaking and stirring up pure milk in a jar. The best part of the workshop was that the participants were able to take home their own DIY butter and mayonnaise. "Camp on Farm: Dear Dairy" came to a close with an outdoor meal on the farm. Gathered around a long table, the visitors were presented with an array of international dishes prepared with local ingredients, all of which were served in a joyful atmosphere, sheltered by Lembang's fresh air. To complete the theme, the delicious feast was followed by a session around a campfire, where everyone sat in a circle and enjoyed freshly grilled corn while sharing their impressions of the day's events. 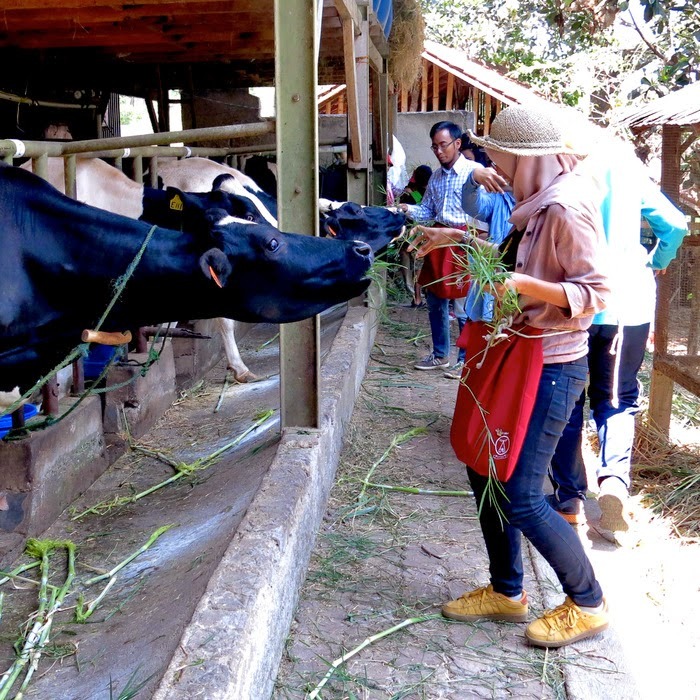 0 Response to "Agricultural Tourism at a Bandung Dairy Farm"